As more residents made their homes in North Perth in the early 1900s, a range of local businesses were also needed to provide their everyday needs. The first business listed in Angove street in Wise’s Post Office Directories was a general store owned by Miss Elizabeth Watson and located at 39 Angove St (Site 9). Reta Jacobsen, who moved into Angove Street in 1904, aged seven, recalled the street as a gravel road. While only 12 percent of the North Perth area had been built on in 1904, by 1911 this had trebled. Within the next five years the street included a butcher, general store, greengrocer, confectioner and a boot maker. 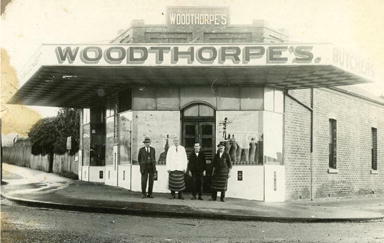 Following a boom in population after World War I, more businesses appeared on Angove Street. By 1925 a hairdresser and tobacconist, electrician, watchmaker, dressmaker, newsagent and stationer, and ironmonger and several music teachers were located there. 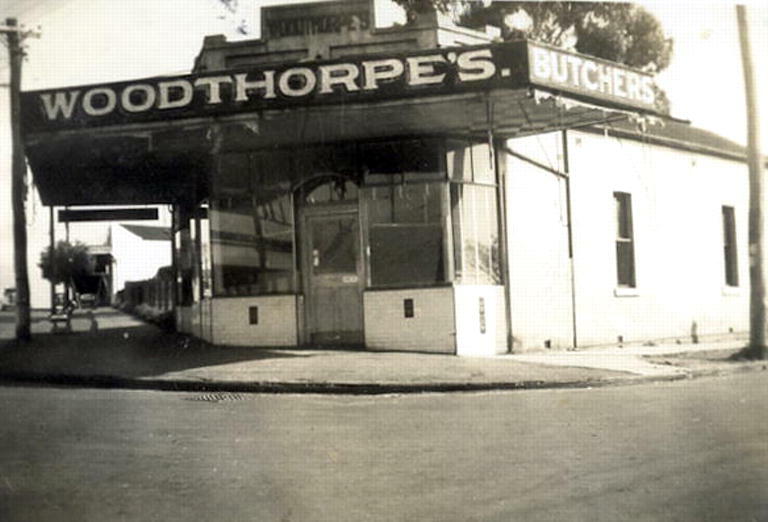 North Perth Open Markets were established by F Prentice and operated at No. 31 from 1924 to 1936. 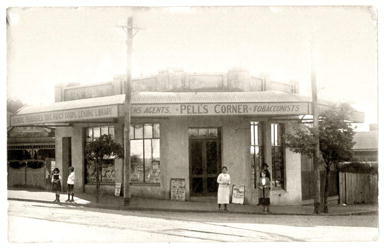 At 15 Angove Street there was Pell’s corner shop which served a newsagent, tobacconist, stationer and lending library. The store operated until 1947. 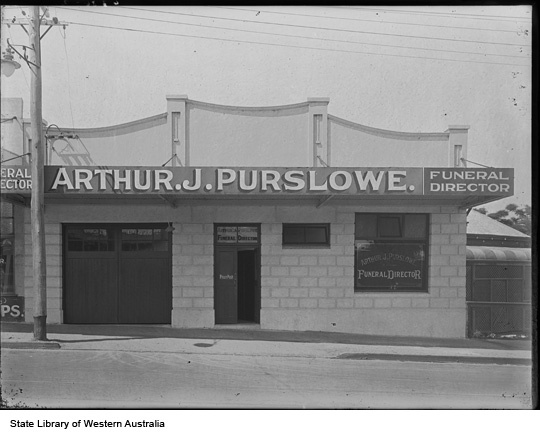 The Purslowe funeral tradition is still present in North Perth, with the family run company joining another Western Australian funeral company in 2017 to form Purslowe & Chipper funerals, with a location at 15 Scarborough Beach Road North Perth.